Mrs. Hoskins's Third Grade: Be Proactive! Congratulations to Kevin Kretz! 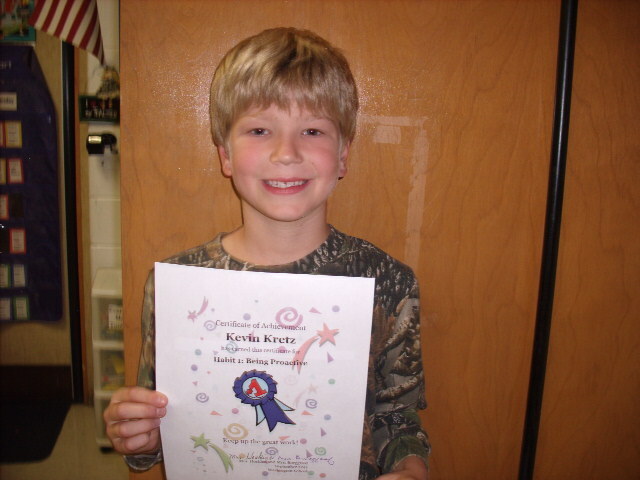 He was selected as the Be Proactive award recipient in our classroom. A proactive student takes charge of his/her own actions and attitude. He/she chooses to work hard, be kind to others, and has a positive attitude about school. 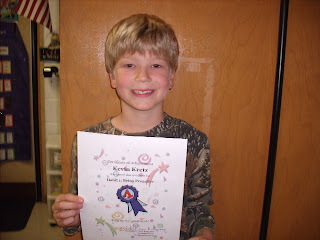 Kevin is a great example of being proactive!